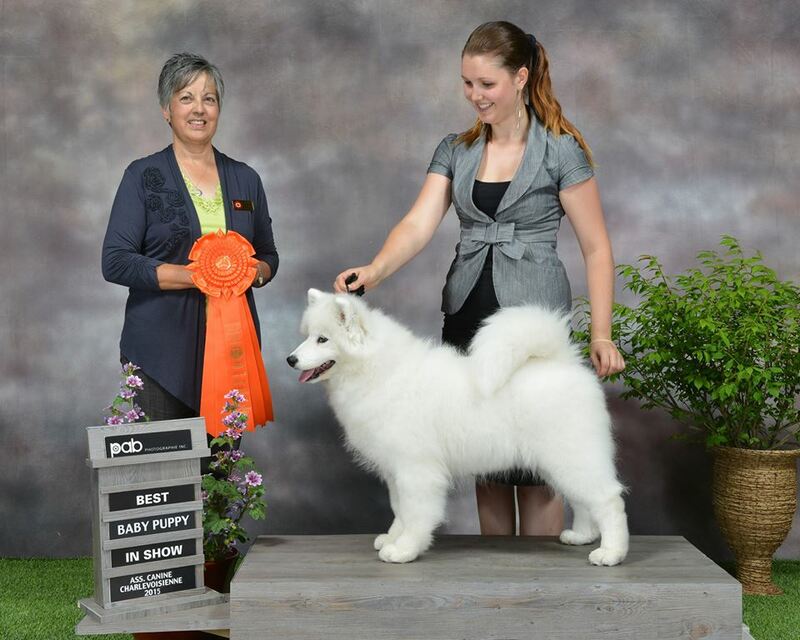 Pacha (Nikita Monsieur Pacha) 6 months old did 3 X BPIG (Best Puppy in Group) at Windsor’s Show April 10th and 9th. At St-Lazare’s competions November 6 – 7 and 8, Poupée (Nikita Poupée Russe) had done 2 more championship points. Poupée was also in compétition at Caledon Ontario, November 27 – 28 and 29. 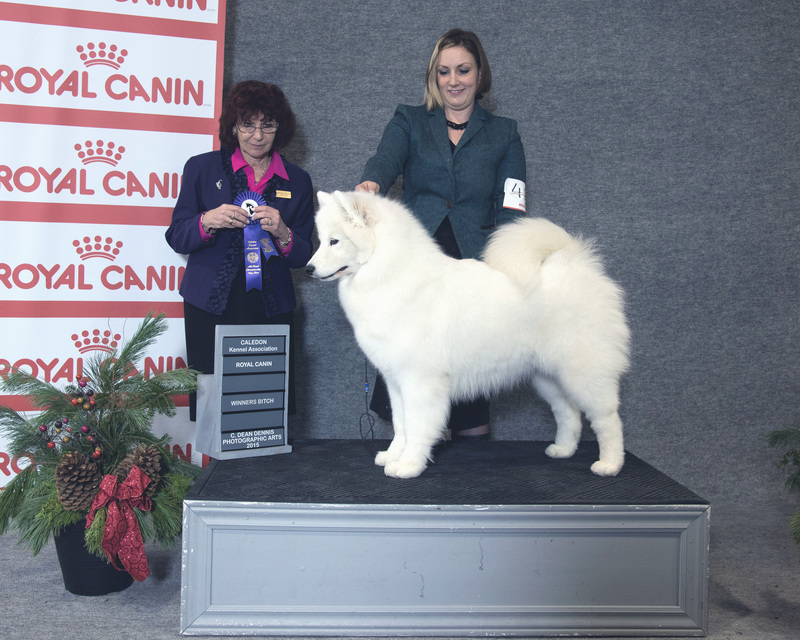 She did BW in the “Samoyed Booster” competition and RBW in the Samoyed Specialty. She did 4 more points during the week-end and finished her championship at 9 months old ! 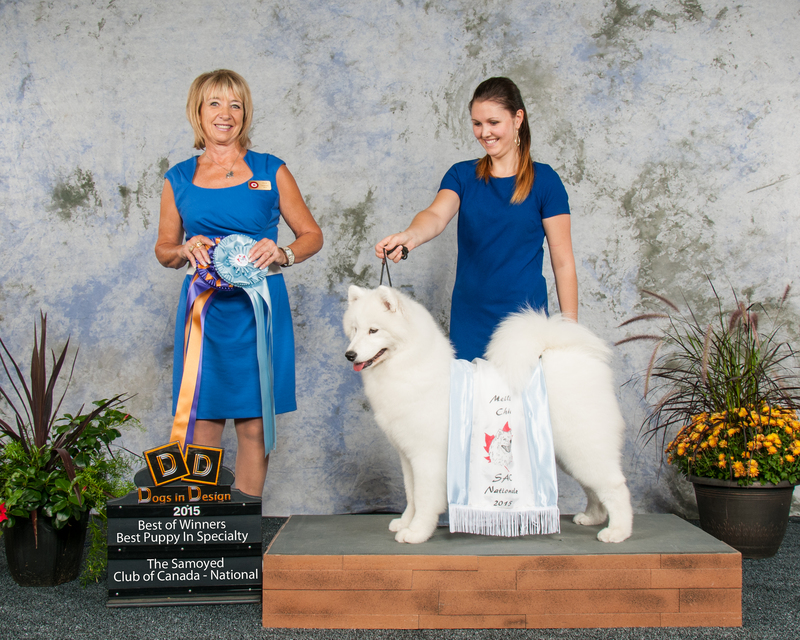 Poupée (Nikita Poupée Russe) did a lot of thing during the week-end in Terrebonne : 5 championship points, Best Puppy in Specialty show, Best of Winners, Best Puppy in Group and finaly Best Puppy in Show ! Poupée was handling by Cynthia Morneau. Very busy ! Preparing the National and Regional Specialties for September 19th and 20th in Terrebonne. Youri (FCC Can CH Nikita Youri Gagarine) is back in the ring looking for a new titlt of Grand Championship. Poupée (Nikita Poupée Russe) 5 months old did BBPIS (Best Baby Puppy in Show) twice at the Baie-St-Paul Competition. At Brome Show, Laska (Nikita Laska De Snowpride) did another championship point. First competition of the year in Thetford Mines May 23 and 24th. 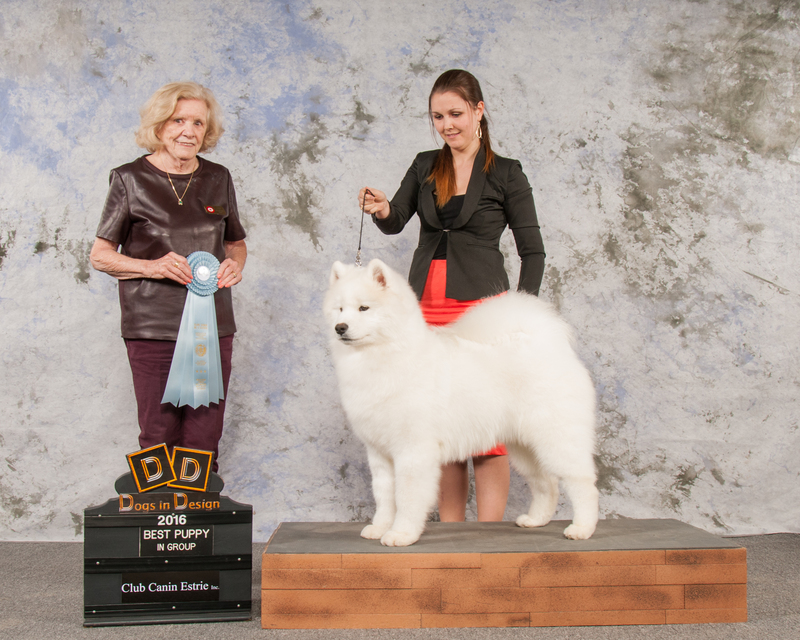 Laska (Nikita Laska De Snowpride did her first 3 points plus 3 times BPIG (Best Puppy in Group). At her first show ! The next competition will be in Brome June 12th – 13th et 14th. 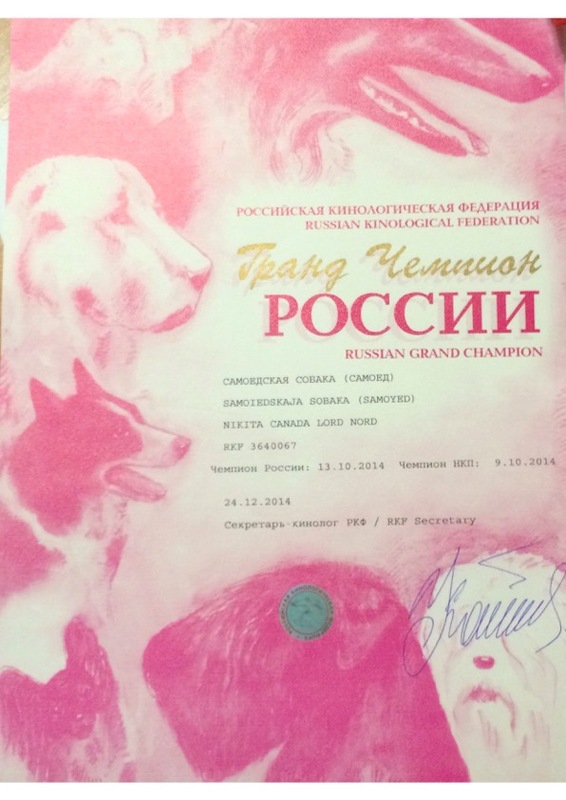 CH Nikita Canada Lord Nord is now Grand Champion of Russia. We are very proud of him !